How I wish that these fantastic watermelon-inspired party products had been available when I put together a watermelon birthday party for my little one last year! 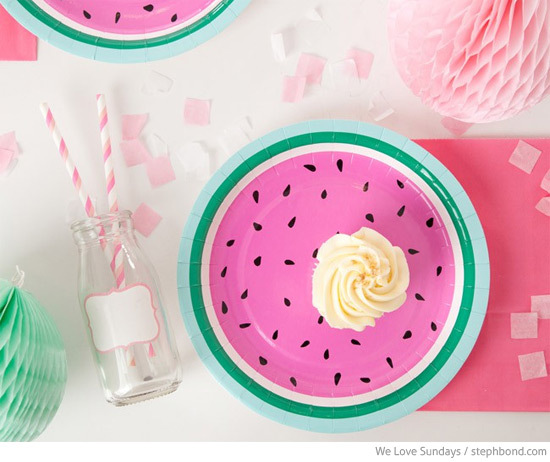 The folks from We Love Sundays have created a run collection including these watermelon invitations, paper plates, paper cups, and goodie bags. There's a pinata too! 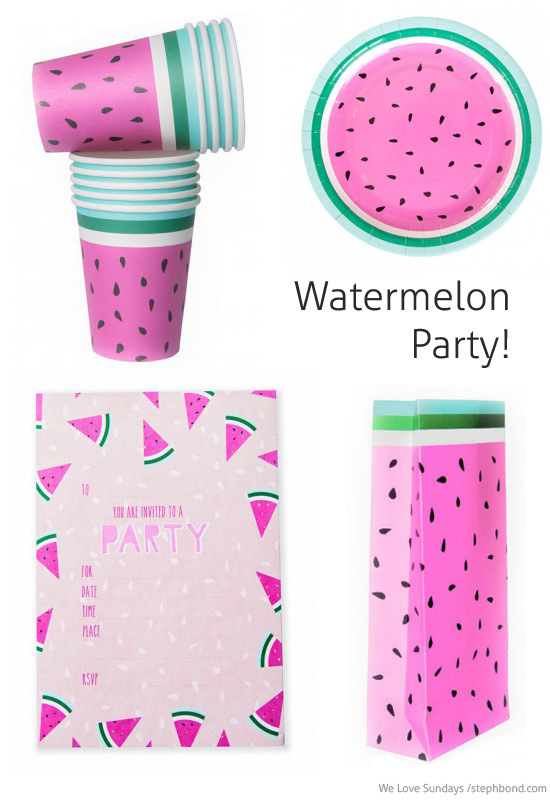 You can find these watermelon party products and more in the We Love Sundays online store and select stockists. Check our more watermelon party ideas in my post about our little one's watermelon birthday party last year, right here on Bondville.